As the number of contingent workers continues to grow, hiring organizations and MSPs need to prepare themselves for the gig economy era. 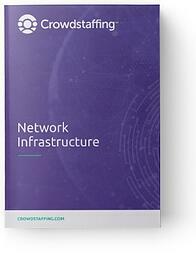 Our guide brings you insights about how MSPs and Contingent Programs will be in the future. 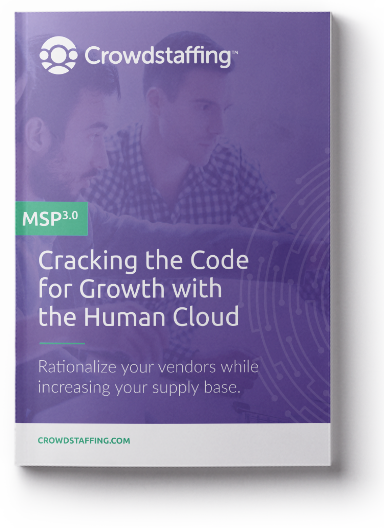 Take a look at our resource library below to learn more about Talent Acquisition and Crowdstaffing. Gain Insights And Learn About Contingent Labor Trends And Innovative Approaches For a Better Gig Talent And Contingent Workforce Management For 2019 And Beyond. Fill the information below to get your copy. 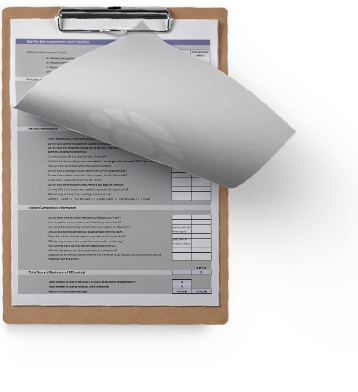 Our toolkit comes with an RFP template, a bid assessment, pricing calculators and more. Use it to organize your staffing requirements and build RFPs in a much smarter way. As the number of contingent workers continues to grow, hiring organizations and MSPs need to prepare themselves for the gig economy era. Learn hwo to do it with this guide. As enterprises plan the expansion of their digital strategies, IT hiring needs explode - and with that comes plenty of aches and pains. But using a network of suppliers can solve that - as this paper shows. Delivering a high level of customer service is key to the success of a company. Especially when you are a staffing agency or an MSP, client satisfaction should be a priority at your organization. This guide can help you. 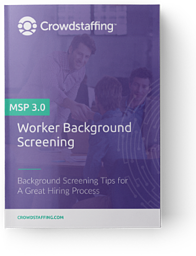 Background checks help companies ensure that they find the right candidates. That’s why we took the time to develop a best-practices guide to take the sting out of the background screening process. Having diversity or ethical issues in the workplace is forcing companies to create strategic plans to manage them. 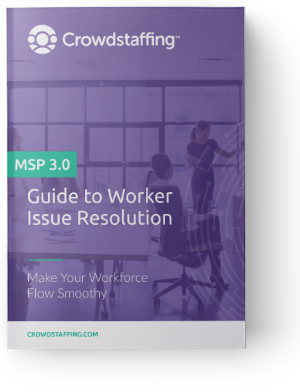 Learn the most common issues and how to solve them to overcome workplace problems and get the best from your employees. An effective onboarding process is crucial for a better employee productivity and to reduce turnover. 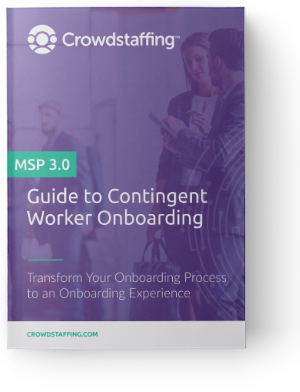 Get access to an updated checklist and best practices for onboarding new employees in our 2019 guide. 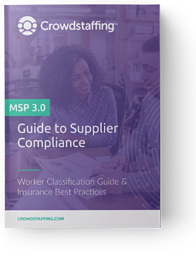 Vendor compliance is key for any contingent workforce program. Managing your relationship with your staffing agencies allows you to reduce costs and resolve issues. Our guide can help you. Discover a new model of staffing that mixes Managed Services with AI-powered technology and a Crowd of Staffing Suppliers and Candidates.